As director of the Mindful Awareness Research Center (MARC), Winston teaches mindful awareness practices to the general public to promote health and well-being. 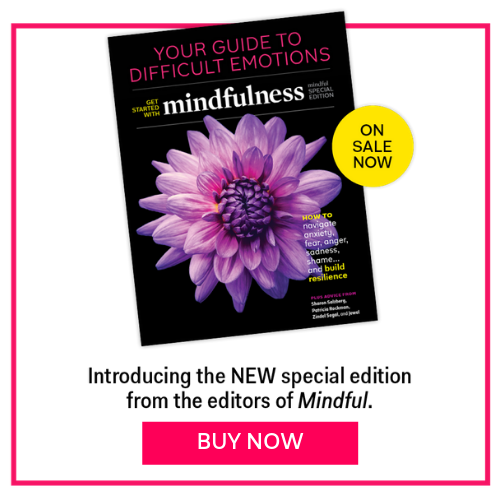 Diana Winston is the Director of Mindfulness Education at UCLA Semel Institute’s Cousins-Mindful Awareness Research Center (MARC) and the co-author, with Susan Smalley Ph.D., of Fully Present, the Science, Art and Practice of Mindfulness (DaCapo, 2010). She teaches mindful awareness practices to the general public to promote health and well-being. Heralded by the LA Times as “one of the nation’s best-known teachers of mindfulness,” she has developed curriculum and taught mindfulness since 1993 in a variety of settings including hospitals, universities, corporations, non-profits, and schools. She has taught mindful awareness to health professionals, leaders, teachers, activists, seniors, and adolescents in the US and Asia. Diana is the founder of the Certificate in Mindfulness Facilitation, a pioneering year-long UCLA program that provides training, support, and supervision to those wishing to incorporate mindfulness into their occupation or to share mindfulness with individuals, groups, communities, or institutions. She is considered one of the early founders of meditation programs for youth, and taught on the seminal mindfulness and ADHD research study at UCLA in 2005. Her work has been mentioned in Newsweek magazine, The New York Times, O Magazine, The Los Angeles Times, and in a variety of magazines, books, and journals. She is also the author of Wide Awake (Perigee Books, 2003), the CD “Mindful Meditations,” and has published numerous articles on mindfulness. Diana is a member of the Teacher’s Council at Spirit Rock Meditation Center in Northern California. She is a graduate of Brown University and has been practicing mindfulness meditation since 1989, including a year as a Buddhist nun in Burma. Currently Diana’s most challenging and rewarding practice involves trying to mindfully parent a three-year-old.